Shimla iconizes snow laden mountain ranges, misty surrounding, sparkling lakes, plush greenery and soothing climate round the year. This summer capital of the British Raj is an awesome summer retreat, and a popular winter destination too. 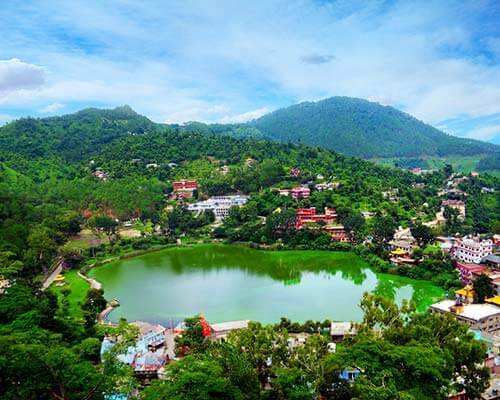 It is needless to say that this most-sought-after hill station has some amazing and premium resorts, loaded with most modern and most luxurious amenities. 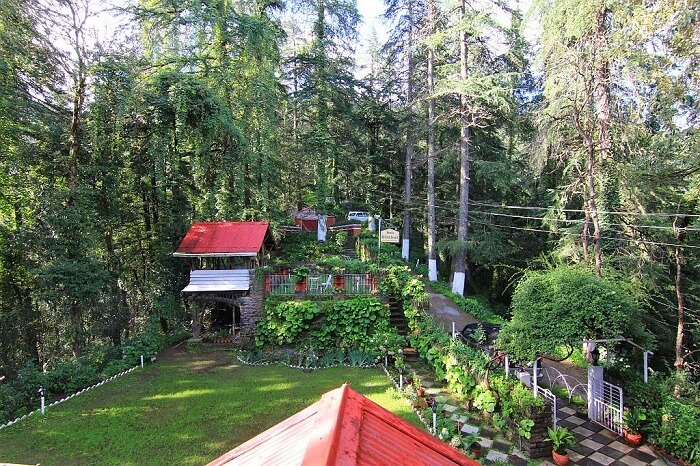 Some resorts in Shimla are classy and outlandish while some are decent and pocket friendly. From the spoiling choice of resorts that Shimla offers, we bring the cream to you. Glance at our recommendations and pick your choice right away. 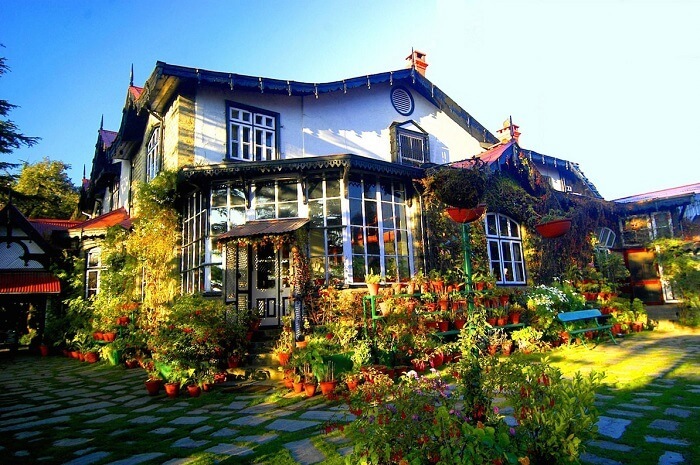 Nestled on the Shimla-Kufri Highway, Wildflower is one of the best resorts in Shimla, belonging to the Oberoi Family. Perched on a hill top, the resort offers a stunning view of the surrounding; especially the lofty snow-clad mountains and plush green valleys. 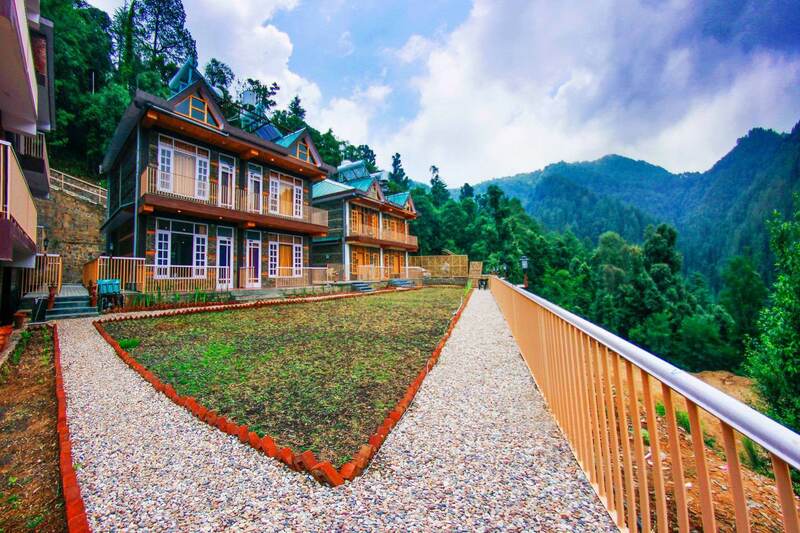 Amid an ambiance of complete tranquility and solemn joy, Wildflower is picture perfect retreat and a piece of paradise for nature lovers and is popular as one of the luxury resorts in Shimla. One can cherish the surrounding natural splendor or relax and rejuvenate the mind and soul at the in house spa or indulge in rafting, cycling or yoga. What’s special: The luxury dining at The Restaurant, The Cavalry Bar and Lutyens Hall. The hotel also organizes special open-air dinner. 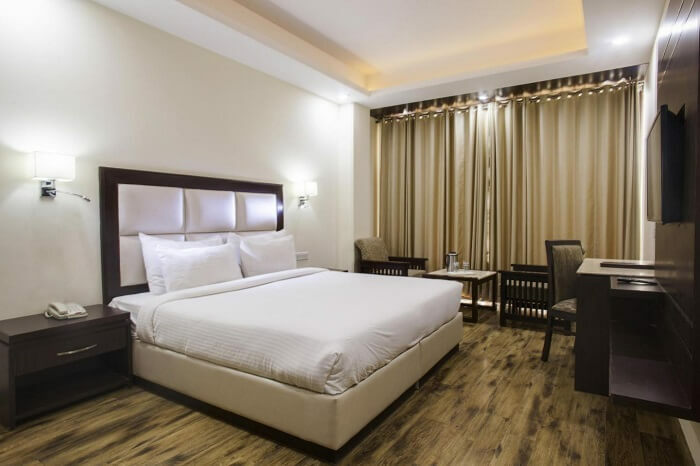 Outdoor infinity whirlpool, indoor chandelier lit pool, well-equipped gym and relaxing massage therapies has together made it one of the superb honeymoon resorts in Shimla. Suggested suite: Lord Kitchener Suite for that luxury feeling! East Bourne is surrounded by lofty mountains and picturesque valley. This is one of the popular resorts in Shimla and offers a perfect retreat for family holidays as well as honeymoon trips. The interiors are sophisticated and offer absolute convenience and comfort to all the guests. All the categories of rooms are well appointed and provide modern facilities and services. Tariff: The resort offers holiday packages starting INR 23,000 for two nights and three days for 2 PAX. The package includes stay plus breakfast and dinner. For more details, one needs to go to the hotel website. 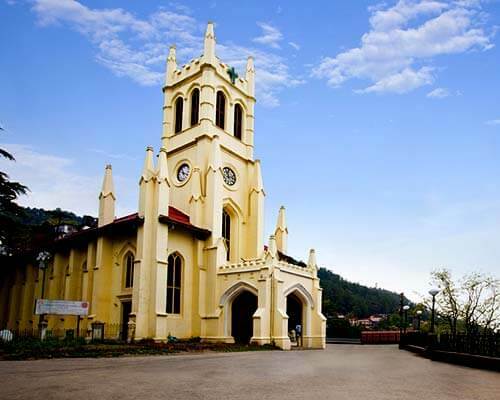 British Resort in Shimla is known for its heritage, tradition, superb hospitality and alluring location. The dignified interior décor, elegant Scottish and British architecture and modern amenities has made the resort hot favourite amongst travellers. 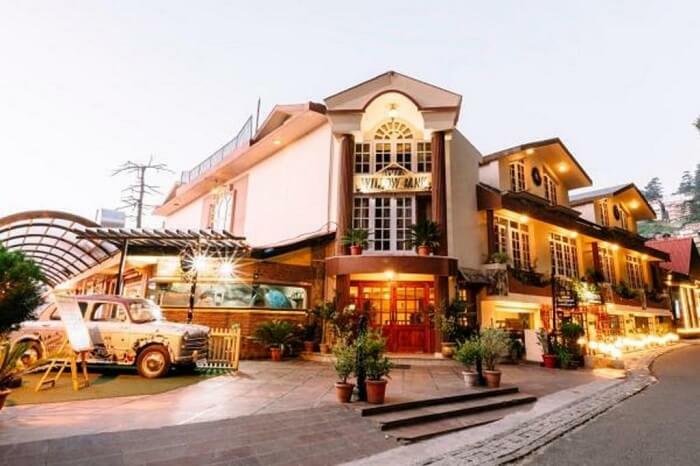 It is one of the popular resorts in Shimla near Mall Road and seamlessly combines modern day facilities and traditional ambience that reflects old world charm. 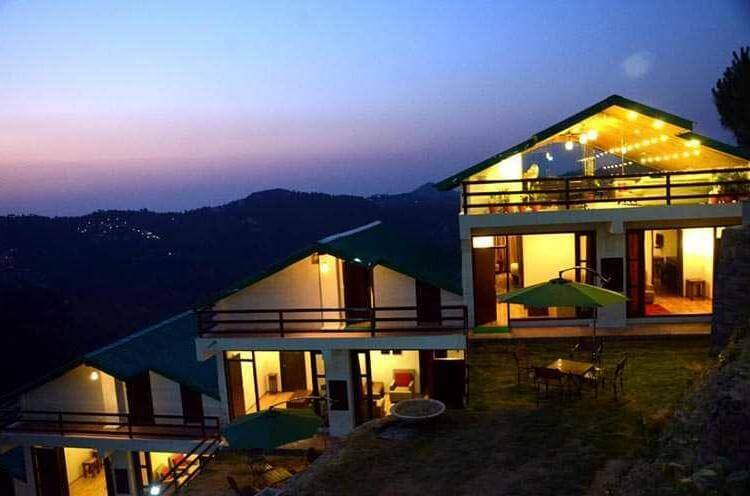 Located in close proximity to Shimla Ridge, Annandale Golf course and Glen Waterfalls, this resort is a perfect holiday getaway for all. What’s special: Tea Lounge, Library Bar with exclusive collections of cigars, pipes, wine and books, open air restaurant and Ayurvedic rejuvenating spa. 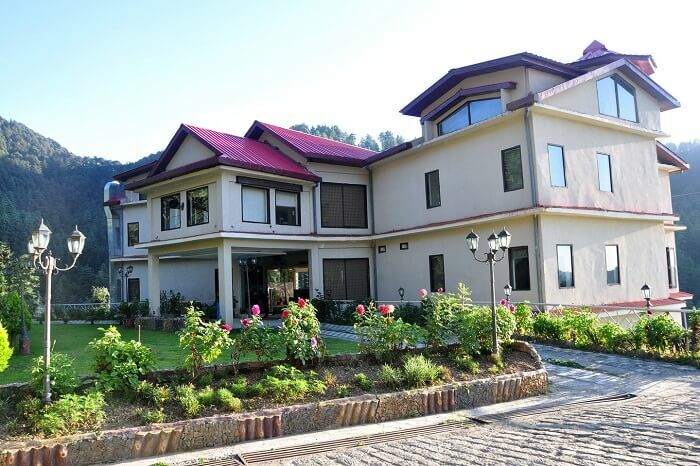 This is one of the beautiful resorts in Shimla and is located at an altitude of 6400 feet, over sprawling 6 acres of land, encircled by cedar, rhododendron and pine forests. The resort offers utmost luxury and comfort to the guests and the surrounding view is amazing and alluring. 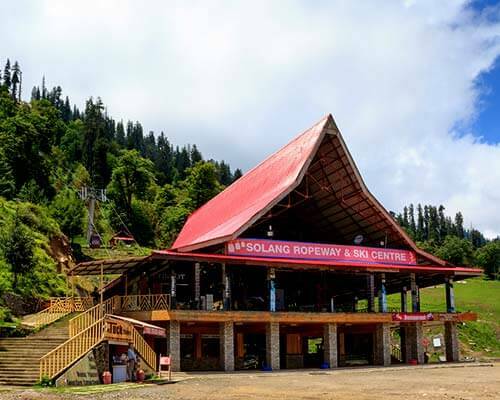 Havens – one of best resorts in Shimla is located in proximity to ISBT and railway station (toy train) of Shimla and is a perfect place for complete leisure and rejuvenation. 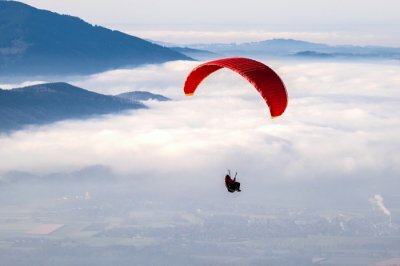 What’s special: Fun and thrilling games like rock climbing, Burma bridge crossing, river valley crossing, jummaring, commando net and waterfall rappelling. These are organised by the resort and works best if you are travelling in a group. 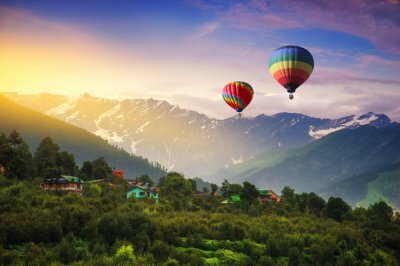 Snow Valley is one of the luxury resorts in Shimla that offers most amazing view of mighty Himalayas, plush green pine forests and Shimla town. The elegant decor, remarkable hospitality, alluring location at Ghora Chowki and overall serenity pull travelers round the year. It boasts of 72 well-appointed rooms with all modern amenities. Attractive interiors, wooden floors and plush furnishing make the rooms vibrant and appealing. 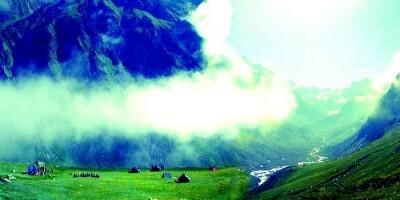 Snow Valley is one of the best option among all the resorts in Shimla near Mall Road. What’s special: Multi-cuisine in house restaurant offering large varieties of various cuisines, peaceful location and subtle but elegant decor. Suggested suite: Ultra-luxurious Executive Rooms for breathtaking view and lavish living experience. One of the finest resorts in Shimla includes Kamna Hill Resort, which is calmly located amid the lush mountains of Shimla. 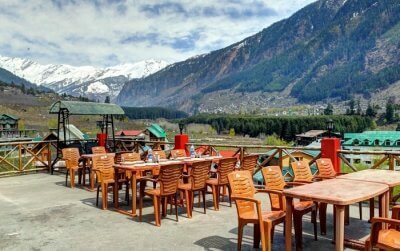 The traditional Himachal wooden and stone architecture of this resort will instantly make you fall in love with it. There are varieties of rooms like premium and deluxe to choose from. What’s special: Popular tourist places, such as The Viceregal Lodge, Chadwick Falls, Himachal State Museum, and Jakhoo temple. Every nature lover’s paradise, Marigold Sarovar Portico is located in the serene hill station of Shimla. The 47 luxury rooms and an array of restaurants within the resort make it a perfect abode. The resort also has a spa, a fitness room, and undoubtedly a gorgous view from each room. What’s special: The easily accessible location. Craignano and Glen: the two brilliant in-house restaurants. Suggested suite: Pick any room. They all have world-class services and facilities with incredible views. 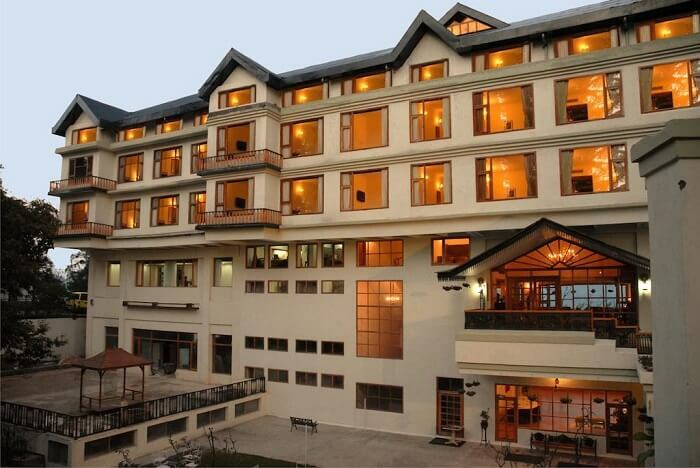 Situated at a height of 6200 ft, Woodsmoke Resort & Spa is among the best resorts in Shimla. 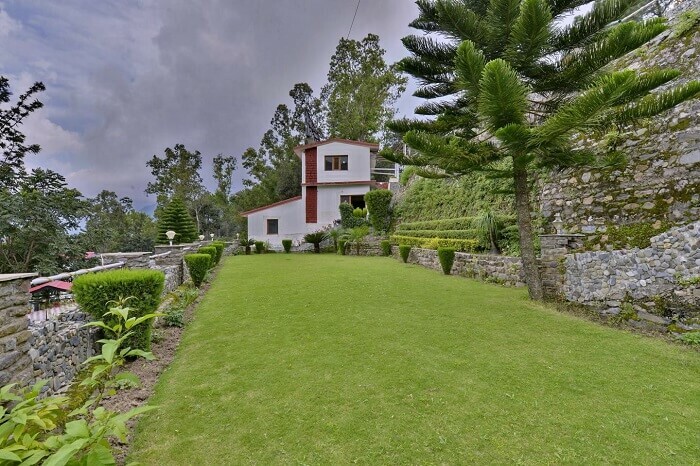 The winding trails and a walk through the thick forests take you to this awesome abode. From foggy mornings to sunny days, the location of this resort will give your all the pleasures of this world. 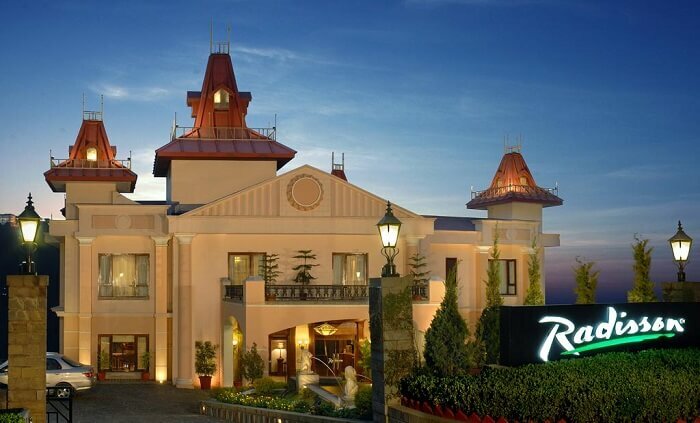 Offering spa services, fine dining, and a health club, this resort makes a perfect place to stay in Shimla. 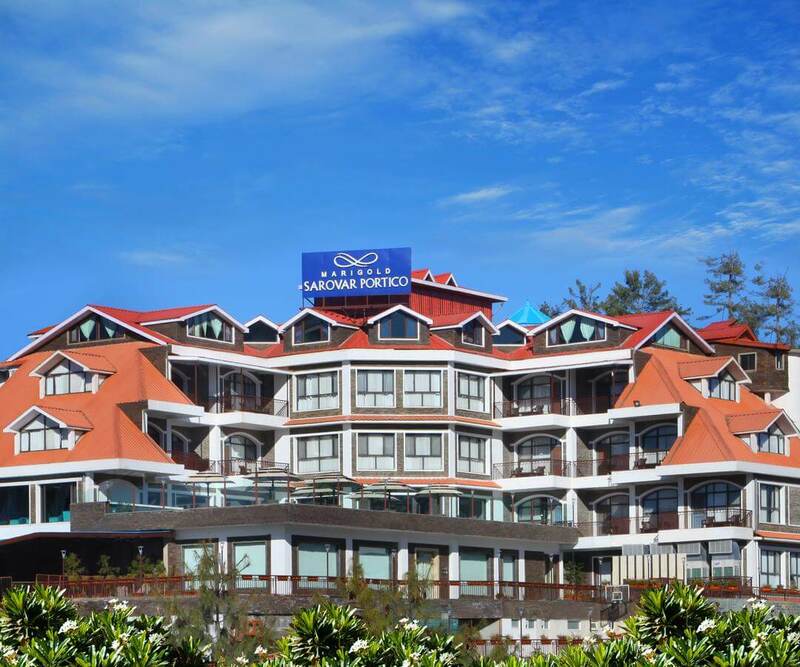 If you are looking for 5 star resorts in Shimla, Club Mahindra will give you an impeccable experience. Enjoy the picturesque views of verdant valleys right from your window and pamper yourself with excellent service and luxury amenities. 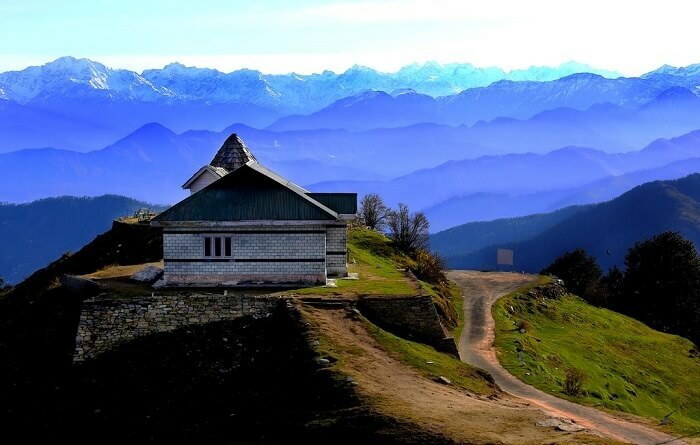 Whether you are taking a trip to Shimla with your friends or family, this place is definitely one of the best ones to spend a relaxing weekend in the woods. Do you fancy living in the former residence of a king? 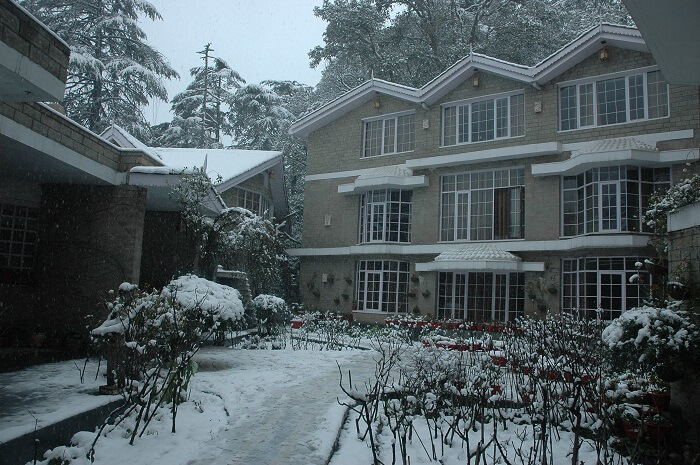 If yes, then you should head to Woodville Palace which is one of the best resorts in Shimla near mall road . Located right in the vicinity, it makes sightseeing in the town easier for you. The rustic architecture of the resort will provide you with an unforgettable experience. Do not forget to check out the vintage bar called The Hollywood ‘30s which houses autographs from famous Hollywood stars of that time during your stay here. One of the best nature resorts near Shimla, Zurich Resort offers you 360 degrees expanses of lush green valleys and snow-capped mountain. Located on a hilltop, this is where you can stay to disconnect from the world and connect with nature. Hear the birds chirping, meditate in the salubrious environ, and rejuvenate your senses. What makes Willo Banks Resort one of the best resorts in Shimla for honeymoon is that it is a blend of luxury and affordability. Find all luxurious amenities in the resort right under your budget. The heritage property comes equipped with all the modern facilities you could think of and the staff is courteous too. 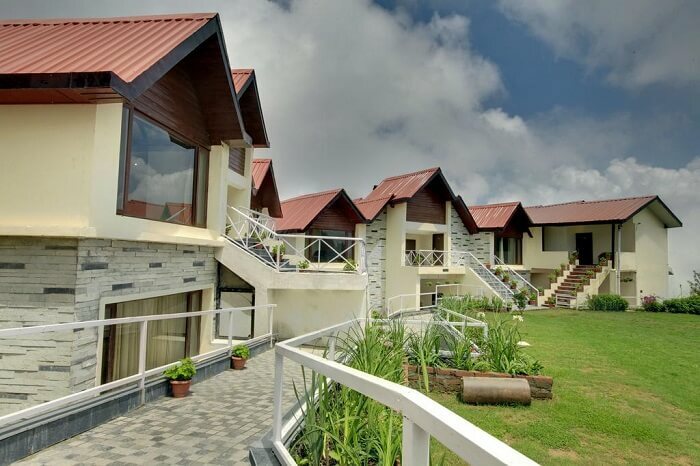 As the name suggests, Agyaat Vaas Resort offers the kind of solitude bliss you seek from your Shimla vacation along with the breathtaking views of the mountains. If you are a kind of person who takes getaway too seriously, then this place is absolutely apt for you. No one will ever be able to disturb you. It is just you and nature. To your surprise, you will find all kinds of amenities in the well-furnished rooms. The place is located near Hatu Peak in Narkand and offers unprecedented views of nature. You know you can trust the services and experience offered when it comes to Radisson. Enjoy a comfortable and luxurious stay at one of those valley-facing rooms. Have a fine-dining experience at its world-class restaurant or just relax in the lounge. There is even a spa and wellness center where you can seek rejuvenation of senses after a healing massage. If you are looking for resorts in Shimla for wedding, then you can choose to make arrangements at Koti Resort. The place has an indoor swimming pool, massage parlor, spa and wellness center, and a lavish garden. Plus, it is a great budget destination to host all your wedding functions. Look forward to having all your wedding functions in the picturesque backdrop of mountains and lush green surroundings. 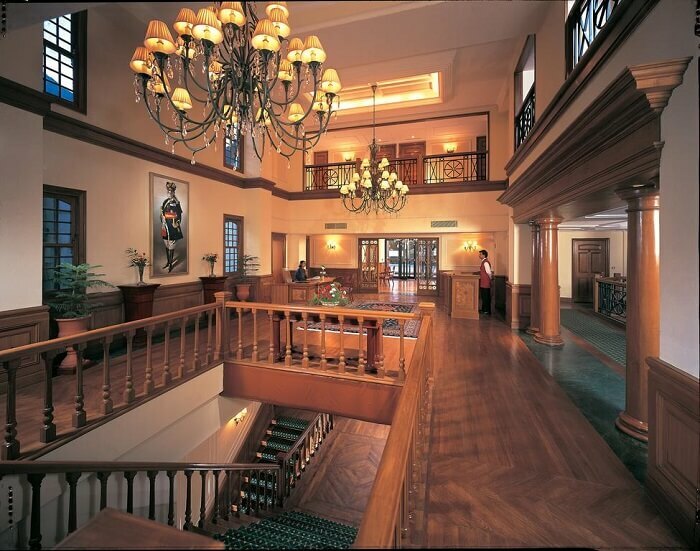 Known for its grandeur and elegance, The Oberoi Cecil in Shimla is a sure shot name in the world of hospitality. A 130-year British house turned into a luxurious resort speaks for itself. The imperial faced of the building will alone out you in awe. But wait till the staff pampers you with best of services. Further Read: The First-Ever Glass Roof Train From Kalka To Shimla Is Set To Be On Tracks Soon! Which of these resorts in Shimla pleased you the most? 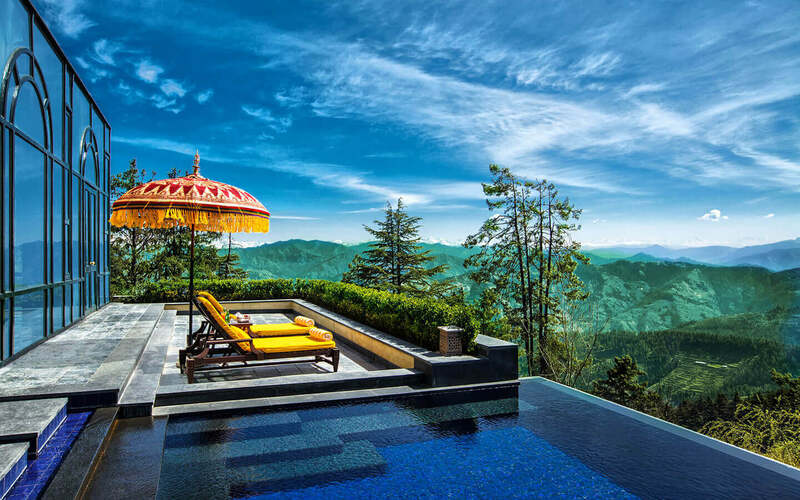 Frankly, each on of these curated resorts in Shimla are perfect for a heavenly stay on your hilly holiday. Feel the nature’s bliss and enjoy an amazing getaway with your friends or family. Shimla, the Queen of Hills, has always been an all-time favorite. When are you taking a break from your monotonous life and have a good time in Shimla?